The Melbourne Mint, in Melbourne, Australia, was a branch of the British Royal Mint. It minted gold sovereigns from 1872 until 1931, and half-sovereigns (intermittently) from 1873 until 1915. In 1916 it commenced minting Commonwealth silver threepences, sixpences, shillings and florins. From 1923 it minted all pre-decimal denominations. It minted rarities such as the 1921/22 overdate threepence, 1923 half-penny and 1930 penny, as well as Australia's four commemorative florins in 1927 (Canberra), 1934/35 (Melbourne Centenary), 1951 (Federation Jubilee) and 1954 (Royal Visit). It assisted the Royal Australian Mint in Canberra in producing one cent coins from 1966 to 1968 and two cent coins in 1966. From 1969 all coin production moved to the Royal Australian Mint in Canberra, and the building housing the coin minting equipment was demolished shortly afterwards. The remaining administrative building is now the home of the Royal Historical Society of Victoria, and has been leased to the private sector since 2001. The former Royal Mint is located on the corner of William and La Trobe Streets (280-318 William Street and 387-429 La Trobe Street) and is of architectural significance as one of the most impressive 19th century government buildings in Victoria, and one of few Australian buildings in the true Renaissance revival style, and a virtual copy of the Palazzo Vidoni-Caffarelli, attributed to Raphael, in Rome (1515). A private company, Melbourne Mint Pty Ltd, is situated on the ground level and level one of the Melbourne Mint building. Melbourne Mint Pty Ltd belongs to a group of Australian precious metals companies which include Australian Bullion Company (ABC), Gold Merchants International (GMI) and Universal Coin Co. It has no historical relationship to the original Royal Mint. Brief history and photographs of the Melbourne Mint, from the Australian Architecture Discussion Forum. Melbourne Mint - Online Coin Club, list of all coins struck by the Melbourne Mint. 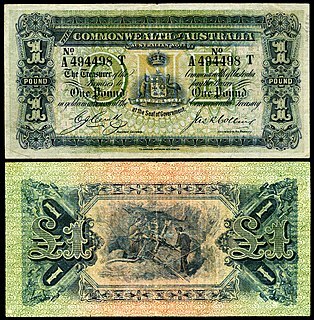 ^ Cummings, Eddie J. Renniks Australian Coin and Banknote Values. Banksmeadow: Renniks Publications. ISBN 978-09752245-5-7. ^ "THE MELBOURNE MINT". The Argus. Melbourne. 4 October 1880. p. 6. Retrieved 8 February 2012 – via National Library of Australia. Flagstaff Gardens is the oldest park in Melbourne, Victoria, Australia, first established in 1862. Today it is one of the most visited and widely used parks in the city by residents, nearby office workers and tourists. The gardens are notable for their archeological, horticultural, historical and social significance to the history of Melbourne. La Trobe Street is a major street and thoroughfare in the city centre of Melbourne, Australia. It runs roughly east–west and forms the northern boundary of Melbourne's central business district. The street was laid out as an extension of the original Hoddle Grid in 1839 and was named after Charles La Trobe. La Trobe Street extends from Victoria Street in the east to Harbour Esplanade in the west. William Street is a major street in the central business district of Melbourne, Victoria, Australia. It runs roughly north-south from Flinders Street to Victoria Street, and was laid out in 1837 as part of the original Hoddle Grid. The street is located in-between King Street and Queen Street. The Australian five-cent coin is the lowest-denomination circulating coin of the decimal Australian dollar introduced in 14 February 1966, replacing the pre-decimal sixpence. It has been the lowest-denomination coin in general circulation since the withdrawal of the one-cent and two-cent coins in 1992. The Australian Threepence is a small silver coin used in the Commonwealth of Australia prior to decimalisation. It was minted from 1910 until 1964, excluding 1913, 1929–1933 inclusive, 1937, 1945 and 1946. After decimalisation on 14 February 1966, the coin was equivalent to 2½¢, but was rapidly withdrawn from circulation. The Nafsika Stamoulis Hellenic Museum Limited is a museum in Melbourne, Australia.